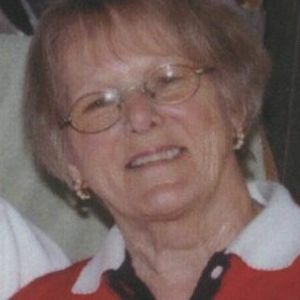 Caribou – Gloria L. Martin, 89, wife of the late Clifford Martin, died August 19, 2018 at Caribou. She was born at Limestone, December 13, 1928, the daughter of the late Dennis and Rilda (Bouchard) Sirois. Mrs. Martin was a long time devoted member of the Sacred Heart Catholic Church where she was a member of the Ladies of Saint Anne, served as a Lector, and sang in the church choir for many years. She was a loving and devoted wife, mother and grandmother. She is survived by one daughter, April Caron of Connor, two sons Shelby Martin and wife Molly of Lillowet, BC, Canada, and Craig Martin and wife Sandy of Connor, her grandchildren Marty Caron, Michele Lynn Caron, Rachel Silva, Jimmy Martin and Shelby Martin Jr., and Chris Daniels, one sister, Shirley Binnett of Biddeford, several nieces and nephews, and her best friend Shirley Dubay Kimball. Mrs. Martin is predeceased by her husband Clifford August 29, 2016, following over 70 years of marriage, a son-in-law Conrad Caron and a sister Joyce Hall Dufour. A Mass of Christian Burial will be celebrated from the Parish of the Precious Blood, Sacred Heart Catholic Church, Friday, August 24, 2018 at 11:00 a.m. Interment will be at the Northern Maine Veterans’ Cemetery. Following the services all are invited to visit with the family for a time of continued fellowship and refreshments at the parish hall.